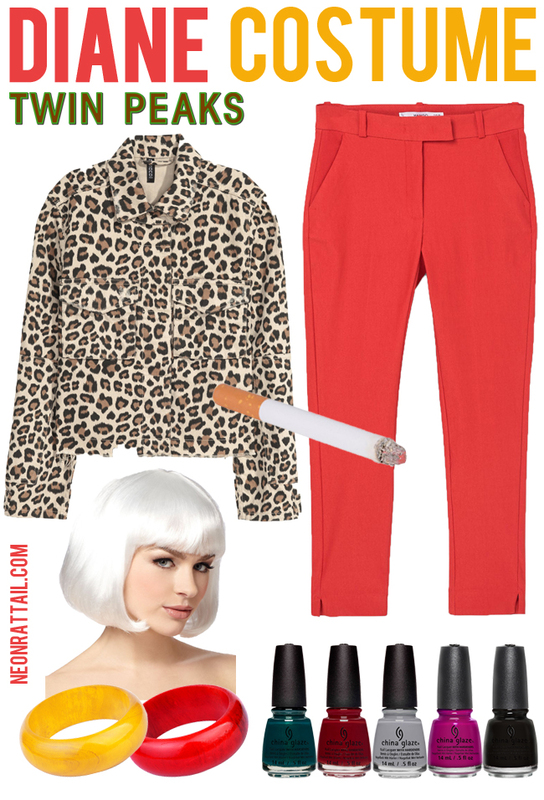 You didn't think I was going to let Halloween 2017 pass without a Twin Peaks costume suggestion, did you? 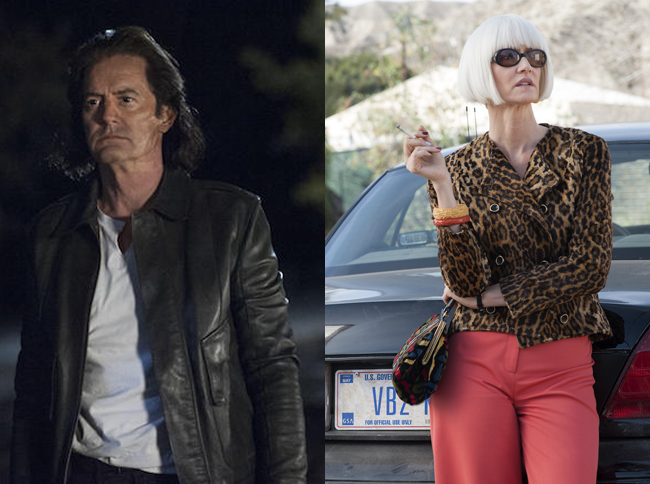 Since the Twin Peaks reboot this summer, I've been dreaming up costume ideas for the many characters, but I think Evil Cooper and Diane have the perfect mix of Halloween costume potential: they're simple, they're identifiable and they're easy to re-create. 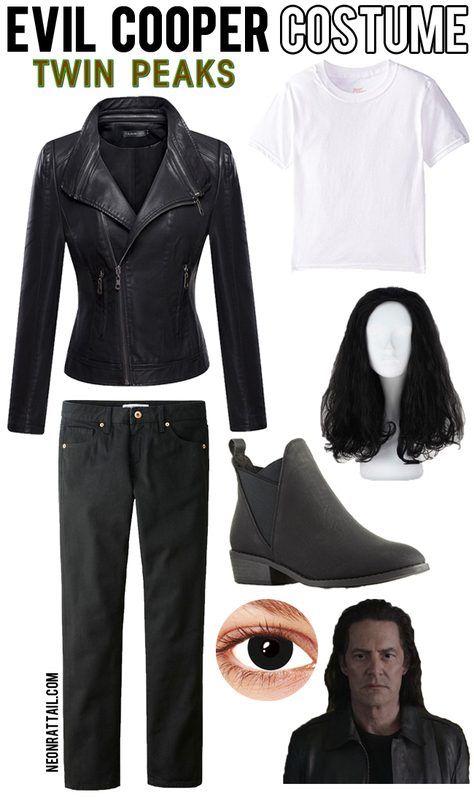 Evil Cooper is very easy; a black jacket and pants paired with a white shirt, black shirt or even a snakeskin shirt (how did I forget he wore one?!) 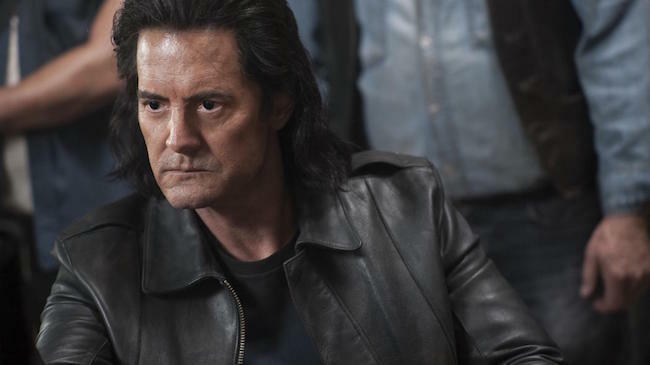 with a wig or slicked back hair is pretty much zero effort. If you wanna step it up, grab some creepy black contact lenses to imitate his signature peepers. With Diane, on the other hand, you can have a little more fun. I went with a classic leopard jacket and red pants, but she has several strong looks in the season, like this red floral robe. Necessary trademarks include the white blond bob with bangs, the multicolored manicure and, of course, the ever present cigarette (fake is fine!). Of course, either of these costumes would work well on their own, but they'd also be great as part of a group costume. Add some of the many Twin Peaks characters (Sarah Palmer is a personal fave, and less likely to be seen) and you'll easily be the eeriest pack at the party!